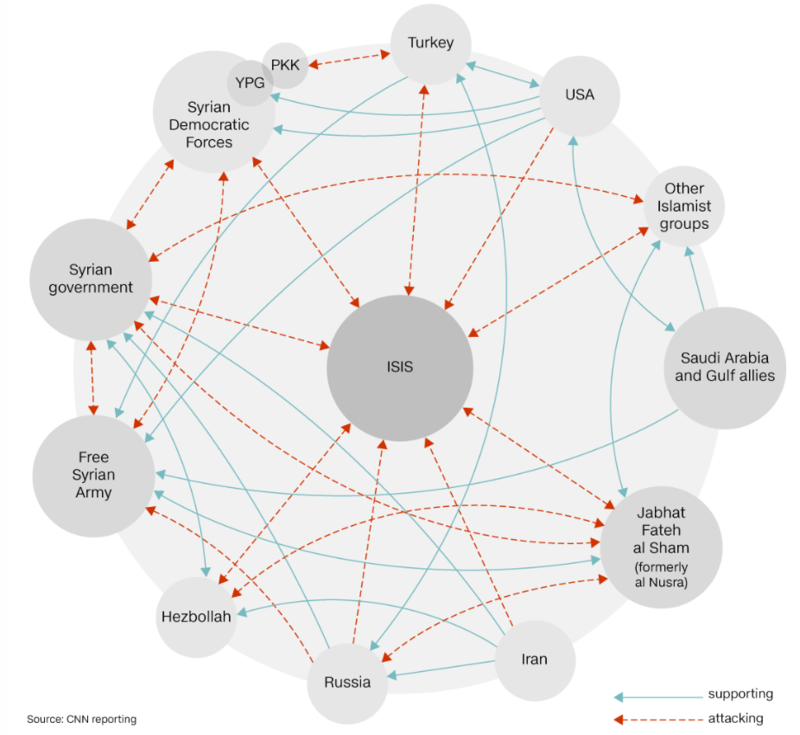 “The free-for-all in Syria will make your head spin,” CNN, August 25, 2016. 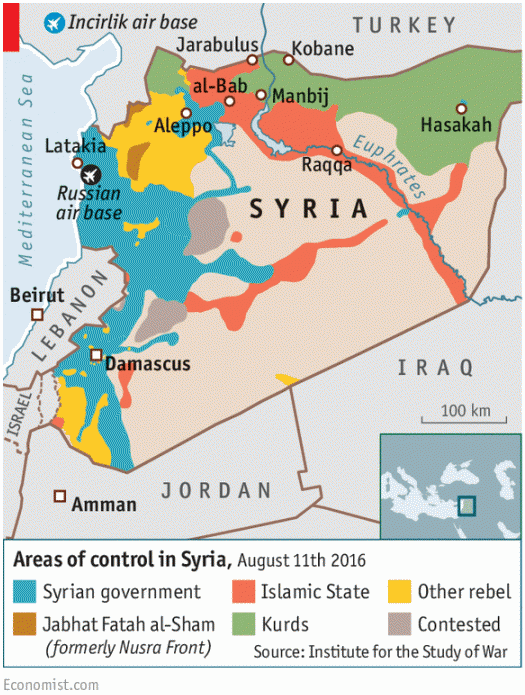 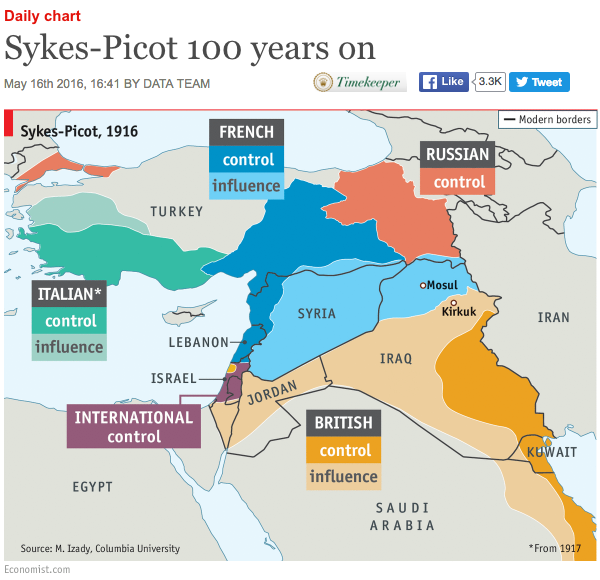 “Smoke and chaos:The war in Syria,” The Economist, 27 August 2016. 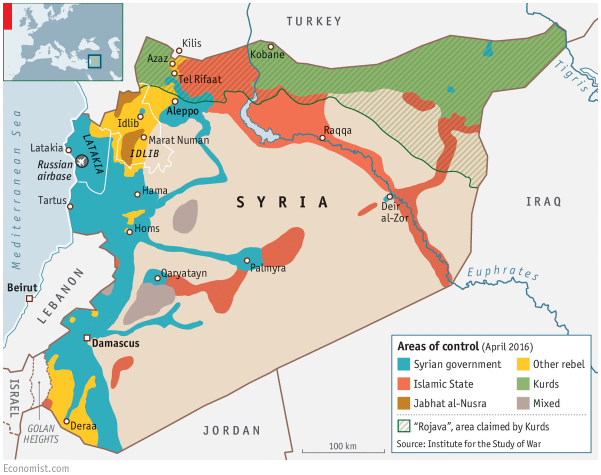 “Daily chart: Syria’s war, violence beyond control,” The Economist, 9 May 2016.